Black Monday in Malta refers to 15 October 1979 when the Progress Press (publisher of The Times ) and the home of Eddie Fenech Adami, then Leader of the Opposition, were ransacked following a rally by the Labour Party. Edoardo "Eddie" Fenech Adami is a Maltese politician and Nationalist politician who served as Prime Minister of Malta from 1987 until 1996, and again from 1998 until 2004. Subsequently, he was the seventh President of Malta from 2004 to 2009. He led his party to win five general elections, in 1981, 1987, 1992, 1998 and 2003. Staunchly pro-European, Fenech Adami is the longest serving Maltese prime minister since Malta's independence, and was fundamental for Malta's accession to the European Union. The Labour Party, formerly known as the Malta Labour Party (MLP), is a social-democratic political party in Malta. Along with the Nationalist Party (PN), the Labour Party is one of two major contemporary political parties in Malta. Since the March 2013 general election, the party has been the governing party in the Maltese House of Representatives. The Labour Party is a member of the Party of European Socialists, and was a member of the Socialist International until December 2014. A spontaneous political rally was held by Labour supporters following an alleged attempt on Prime Minister Dom Mintoff's life in his offices at the Auberge de Castille, Valletta. Valletta is the capital city of Malta. Located in the south east of the island, between Marsamxett Harbour to the west and the Grand Harbour to the east, its population in 2014 was 6,444, while the metropolitan area around it has a population of 393,938. Valletta is the southernmost capital of Europe. Also on this day, believing that their political rivals, the Nationalist Party, had some responsibility for the alleged attempt on the prime minister's life, Malta Labour Party supporters invaded the private residence of Dr. Edward Fenech Adami, leader of the Nationalist Party, ransacking his home and assaulting his wife, Mary, his five children and his elderly mother. In both incidents the police chose not to intervene. The European Parliament and several European governments expressed deep concern regarding these incidents. Three days after Black Monday, Mintoff expressed his personal regret in writing to Mabel Strickland, proprietor of Progress Press. He explicitly condemned the violence in an interview published by the Italian newsmagazine Panorama on 11 November. 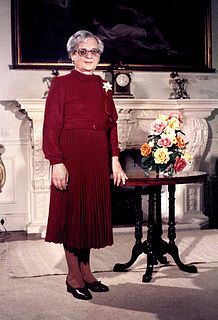 Mabel Edeline Strickland,, was an Anglo-Maltese journalist, newspaper proprietor and politician. The perpetrators were not brought to justice. Malta has a long history and was first inhabited in around 5900 BC. The first inhabitants were farmers, and their agricultural methods degraded the soil until the islands became uninhabitable. The islands were repopulated in around 3850 BC by a civilization which at its peak built the Megalithic Temples, which today are among the oldest surviving buildings in the world. Their civilization collapsed in around 2350 BC, but the islands were repopulated by Bronze Age warriors soon afterwards. The Nationalist Party is a Christian democratic and conservative political party in Malta. It is one of two major contemporary political parties in Malta, along with the governing Labour Party. The Nationalist Party is currently in Opposition to the Labour Party. Guido de MarcoKUOM was a Maltese politician, who served as the sixth President of Malta from 1999 to 2004. A noted statesman and lawmaker, de Marco also served as Deputy Prime Minister, Minister of the Interior, Justice, and Minister for Foreign Affairs. Agatha Barbara was a Maltese politician, having served as a Labour Member of Parliament and Minister. She was the first woman to hold the office of President of Malta, and is the longest standing woman Member of Parliament in Maltese political history. Giorgio Borg Olivier was a Maltese statesman and leading politician. He twice served as Prime Minister of Malta as the Leader of the Nationalist Party. He was also Leader of the Opposition between 1955–58, and again between 1971–77. Alfred Sant is a Maltese politician and a novelist. He led the Labour Party from 1992 to 2008 and served as Prime Minister of Malta between 1996 and 1998 and as Leader of the Opposition from 1992 to 1996 and from 1998 to 2008. Raymond Caruana was a Maltese political activist affiliated with the Nationalist Party (PN). Caruana was murdered in a drive-by shooting at a PN club in Gudja. A referendum on European Union membership was held in Malta on 8 March 2003. A narrow majority voted in favour of joining but the opposition Labour Party rejected the results. The victory of the Nationalist Party in the 2003 general election confirmed the result of the referendum and Malta joined the EU on 1 May 2004. Sir Michael Count Gonzi, KBE, was Roman Catholic Archbishop of Malta from 1944 until 1976. He had been enthroned as Bishop of Malta in December 1943, and was consecrated as the first Archbishop of Malta in 1944. He had also been Bishop of Gozo and an elected Labour Senator in the Malta Legislative Assembly, before siding with the Nationalist Party based on orthodox principles. Australia–Malta relations are foreign relations between Australia and Malta. Both countries have full embassy level diplomatic relations since 1967. As both countries are members of the Commonwealth, both are represented by High Commissions, with Australia maintaining a High Commission in Valletta, and Malta a High Commission in Canberra. In addition, Malta has two Consulates-General, and four honorary consulates. George Abela is a Maltese politician who was President of Malta from April 2009 to April 2014. Paul Borg Olivier is a Maltese politician, former mayor of the Maltese capital city Valletta and Secretary-General of the Nationalist Party. The Constitutional Party was a pro-British political party in Malta. 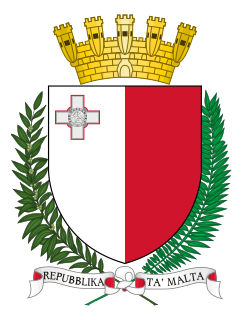 It had representatives in the Maltese Legislative Assembly and Council of Government between 1921 and 1945, and again between 1950 and 1953, forming a government between 1927 and 1930 with the support of the Labour Party. A splinter group, the Progressive Constitutionalist Party was represented in Parliament between 1962 and 1966. The party was very much centred on the figure of its long-time leader Lord Strickland, with party supporters colloquially known in Maltese as "Stricklandjani". Malta–Portugal relations are foreign relations between Malta and Portugal. Malta has an embassy in Lisbon and 4 honorary consulates. Portugal has an embassy and an honorary consulate in Valletta. Both countries are full members of the European Union and of the Union for the Mediterranean. Karmenu Mifsud Bonnici is a Maltese politician who served as Prime Minister of Malta from December 1984 to May 1987. He is a member of the Labour Party. He studied law at the University of Malta. 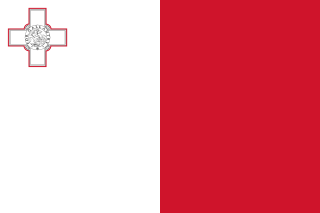 General elections were held in Malta on Saturday, 3 June 2017. The elections were contested by the Labour Party, led by Prime Minister Joseph Muscat, the Nationalist Party, led by opposition leader Simon Busuttil, and four other parties; making it the most parties fielding candidates since 1962. The result was a victory for the Labour Party, with 55% of the popular vote. Voter turnout reached 92%. Cyrus Engerer is a Maltese politician, known for his public stands on Civil Rights and Malta's National Identity. He is the Prime Minister's Special Envoy to the European Union. Wistin Abela was a Maltese politician. He was the Finance Minister from 1983 to 1987, and the Deputy Prime Minister of Malta from 1981 to 1983.